Trump should have been disqualified already as he has made bluntly mean-spirited and endlessly derogatory remarks about many communities, while his running mate, Mike Pence is cited as a notable homophobe. 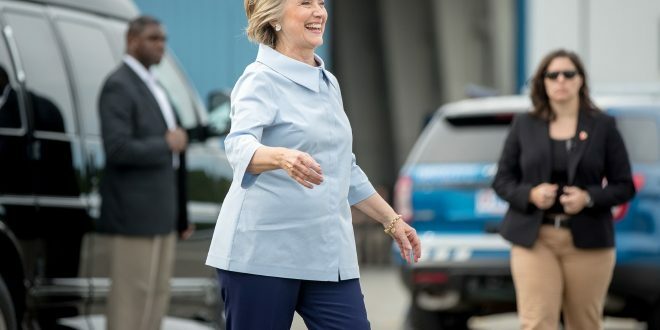 We do not need to go over every single hateful remark Trump has made, but we do need to talk about the bright side of the situation, a Hillary Clinton presidency! Hillary is ready to invest in innovation and strength and she will secure veterans and their families to apt care and give them access to education and avoid catastrophes to be afflicted on them, such as in economic forms. She stresses substance abuse and mental health as well, showing her genuine concern and compassion for equality and well-being of her constituents and the country’s citizens. She will built a suitable economy for everyone, not for “those at the top.” Her five-point plan involves making college debt-free to all Americans. She wants to make the economy fit for challenges and alleviate families facing such challenges. She will make success accessible, inevitable, and possible. She will fight for equal pay and make changes happen that are simply long-delayed, like paid leave being guaranteed. As Hillary has already been endorsed by many groups, like labor unions and the Human Rights Campaign, she gained a huge endorsement as, according to Realtimepolitics.com, former Defense Secretary Bob Gates wrote that Donald Trump is “beyond repair.” He also says “Trump is stubbornly uninformed about the world and how to lead our country and government, and tempermentally unsuited to lead our men and women in uniform. He is unqualified and unfit to be the Commander-in-Chief. Donald Trump’s words about Bob Gates. 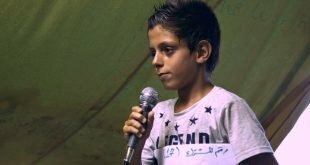 Because, you know, refugees are people just like us with quirky talents, passions and skills.Four friends organized the talent show to bring some light into the darkness of refugee camps.